Environmental burdens such as air pollution are inequitably distributed with groups of lower socioeconomic statuses, which tend to comprise of large proportions of racial minorities, typically bearing greater exposure. Such groups have also been shown to present more severe health outcomes which can be related to adverse pollution exposure. Air pollution exposure, especially in urban areas, is usually impacted by the built environment, such as major roadways, which can be a significant source of air pollution. 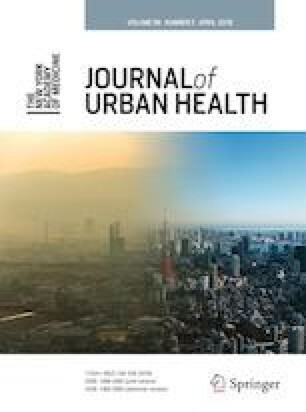 This study aims to examine inequities in prevalence of cardiovascular and respiratory diseases in the Atlanta metropolitan region as they relate to exposure to air pollution and characteristics of the built environment. Census tract level data were obtained from multiple sources to model health outcomes (asthma, chronic obstructive pulmonary disease, coronary heart disease, and stroke), pollution exposure (particulate matter and nitrogen oxides), demographics (ethnicity and proportion of elderly residents), and infrastructure characteristics (tree canopy cover, access to green space, and road intersection density). Conditional autoregressive models were fit to the data to account for spatial autocorrelation among census tracts. The statistical model showed areas with majority African-American populations had significantly higher exposure to both air pollutants and higher prevalence of each disease. When considering univariate associations between pollution and health outcomes, the only significant association existed between nitrogen oxides and COPD being negatively correlated. Greater percent tree canopy cover and green space access were associated with higher prevalence of COPD, CHD, and stroke. Overall, in considering health outcomes in connection with pollution exposure infrastructure and ethnic demographics, demographics remained the most significant explanatory variable. The online version of this article ( https://doi.org/10.1007/s11524-018-0318-7) contains supplementary material, which is available to authorized users. NSF grant 1444745 – SRN: Integrated urban infrastructure solutions for environmentally sustainable, healthy, and livable cities. United States EPA. Smog, Soot, and Other Air Pollution from Transportation. Available at https://www.epa.gov/air-pollution-transportation/smog-soot-and-local-air-pollution. Accessed 5 Mar 2018. United States EPA. How Mobile Source Pollution Affects Your Health. Available at https://www.epa.gov/mobile-source-pollution/how-mobile-source-pollution-affects-your-health. Accessed 5 Mar 2018. Metro Atlanta Chamber. Profile of Metro Atlanta. Metro Comparisons. 2017. Atlanta, GA. Available at https://www.metroatlantachamber.com/assets/executiveprofilefinalrfp_r6DnPy6.pdf. United States EPA Chemical Speciation Network. Available at https://www.epa.gov/amtic/chemical-speciation-network-csn. Accessed 5 Mar 2018. CDC. Ozone and Your health. 2016. Atlanta, Georgia. Available at https://www.cdc.gov/air/ozone.html.